In this companion to Initiation in the Aeon of the Child, now available in paperback, author J. Daniel Gunther provides detailed and cohesive analysis of the two major spiritual crises in the career of the aspirant in the Aeon of the Child�the Knowledge & Conversation of the Holy Guardian Angel and the Crossing the Abyss between the divine realms and the human. Expounding on the sublime Formulas of Initiation confronting those who would aspire to these Mysteries, the author draws deeply from Jungian psychology, world mythology and religion, and the doctrines of the classic Mystery traditions, explaining how the revelations of Thelema apply to the individual. 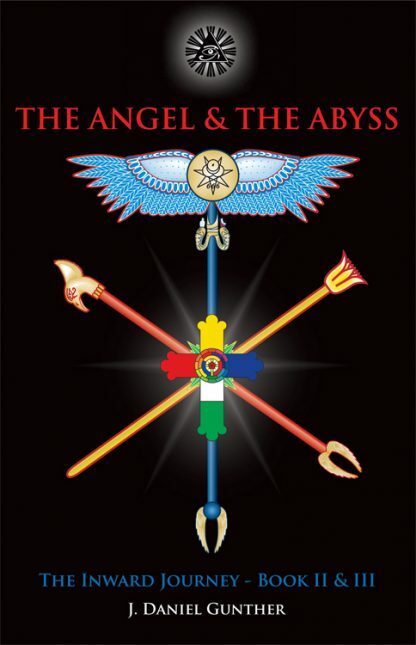 The Angel & The Abyss is written in clear, precise language that will aid those students who seek to navigate the difficult terrain of this advanced stage of the Spiritual quest. More knowledgeable students will find tantalizing clues to serve as guideposts and eventual confirmations of their direct experience. The book offers copious illustrations including some in full color and numerous diagrams. It features detailed references that encompass ancient Egyptian hieroglyphic texts, the Old and New Testaments, the Apocrypha, Greek philosophy, alchemy, hermetic qabalah, and tarot, as well as the writings of Carl Jung, Eric Neumann and Aleister Crowley.